I’m at the Georgia Council Teachers of English Conference (#gcte16) this weekend (more to come on that next blog post). As I was telling my students yesterday, I was going to be out for a conference, I had an idea. I asked them to write what advice they would give if they were speaking to a room full of English teachers. It was one of those on the spur-of-the-moment ideas—just meant for me to see what they thought was important. But as I began to read them, I realized the power in what they had to say, and I wanted to share. Don’t kill good books by overloading them with assignments. We’re all young people trying to find ourselves. Nothing hurts more than to hear or feel that our opinions don’t matter. Let us know that our opinions count and you’ll be amazed at how many people raise their hands when questions are asked. English teachers need to know that not all of us have time to read but still love to read. Some students are introverts, so I think school should be open to different personalities rather than having everything to the advantage of extroverts. I think there should be more ways to showcase your thoughts without having to embarrass yourself. We sit the whole day listening to teacher after teacher. Most students would like a change in routine. My advice is to not always talk and we listen, change things up a bit. Reading is amazing and we need more ways to get involved, such as book talks and more time to really enjoy books! Literature is a blessing. It helps us understand the meanings of life and many students neglect that. Help make literature interesting so students don’t take it for granted. The books we are forced to read only appeal to a small minority of us dependent upon the book. I hated Of Mice and Men and loved Fahrenheit 451. Other people had different opinions. Since you can’t make everyone happy reading the same material, allow them to pick the book they read. It’s more difficult to grade but it produces better writing because students actually care. Also, let students pick their own writing prompts when analyzing literature. Everyone has unique thinking when they read the text, so they can best come up with an essay displaying their actual thoughts if they’re allowed to. Prompts limit thinking. Teach by example and give choices. We don’t come to school knowing how to write a perfec t paper. We need step-by-step guidance and useful tips in order to write successfully. Allow students to rewrite papers so we can learn from our mistakes. Remember that students have other classes and homework, so don’t give too much homework because they can become overloaded. 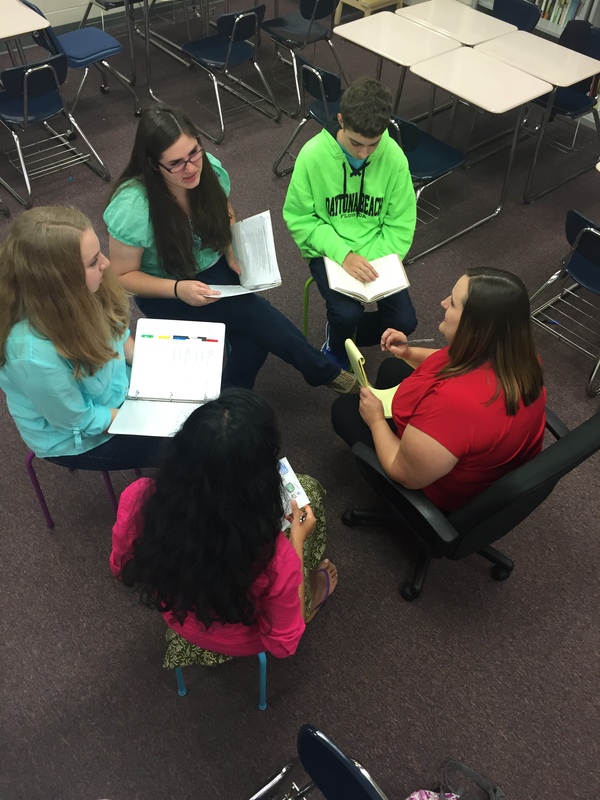 Sitting in groups everyday helps me brainstorm and ask questions with other students. Writing a paper with a bod prompt is miserable. Choices are good and good choices are great. Writing a paper about a topic you don’t hate is much more enjoyable. Show students that you are willing to put in the same amount of work as you assign your students. I know I would stay up to 5 am if necessary to write a great paper or create a meaningful project if I know the teacher puts in the same effort to grade and give feedback on my work. Give students room to be creative in their writing. I really enjoy learning so sometimes I feel like if we rush through lessons or books the importance of learning is no longer there and it is as though teachers are more concerned with meeting the deadline than actually getting us to learn. We’re not professional writers and you’re going to have to help us. We like to read and write about what we actually want to write and read about. It is no fun being forced on books that bore us. Teach advanced concepts but use simple vocabulary. We want to learn but sometimes it is hard for us to understand. To really teach us it is so important to give us time to get things done. Without time our work won’t be good. Teachers must let students read individual novels more. Bonus Read: Amy is always challenging. Many of the things I try in my classroom are sparked by her honest reflections of her own classroom. This post titled, “Choice Doesn’t Necessarily Mean Personal Connection: A reflection for a do-over,” is no different. I think any teacher who has every tried choice or wants to try choice needs to read this. I sit here on a Saturday with five school days left in the semester, reflecting over yesterday’s class. Students, in groups, presented their social issue speeches. Each group had a special guest, someone from central office, an administrator, or an educator, to give the students feedback. Students were excited and nervous about presenting in front of special guests, but as the process began I watched amazed as students greeted the guests, presented speeches, gave each other feedback, and intently listened to feedback from the guests. This idea was inspired during the Teacher’s College Argument Institute I attended last year. They talked about having guests come in for a debate panel to give students an authentic audience. I’ve talked about my quest for authentic class experiences since then in another blog post. 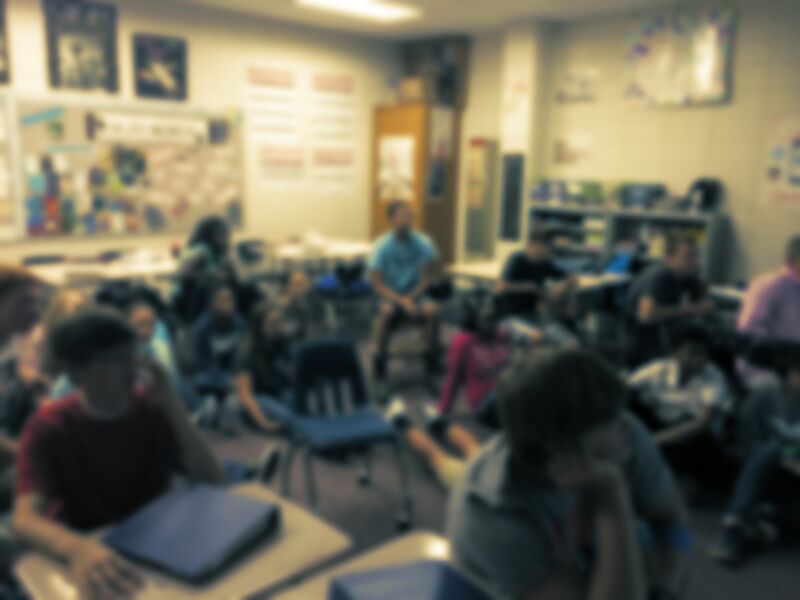 When it came time for students to give speeches on their social issues, I wanted to try to do two things: (1) Give students an authentic audience and (2) Have the speeches delivered in groups in one day (instead of hearing 30 speeches in one class over the course of a week). I cannot express the gratitude I have for all the Central Office folks, administrators, and educators who listened to students’ speeches and gave them feedback yesterday. I cannot say how proud I am of the students—their work, their willingness to take a risk, their feedback to each other, their professionalism. But what I might be most proud of was listening to students and the guests talk after the speeches were all delivered. The students asked questions, the guests shared personal stories and bits of wisdom. There was laughter, and as Lester Laminack says, if there isn’t laughter, there isn’t learning. For the students, they felt special. “Important people” (as they called them) were taking time out of their busy schedules to come listen to them, really listen to them, and to talk with them-not to them, but really have discussion with them. The students had worked hard on these assignments, and they wanted honest feedback. They wanted to know what they could do to become better. We talk in class all the time about how their voices matter. Now they had to chance to talk to people who had some experience with public speaking to get insight in to how to make those voices that mattered heard. One guest asked how much I had prepped the students for the after speech discussion, and I confessed I didn’t. The first time doing this, I hadn’t thought that it might go faster than my carefully planned out schedule. After I realized we had some time at the end, I asked the students to learn as much as they could from the guests while we had them here. And that’s what they did. In a way that came naturally from a curiosity and a quest for knowledge. 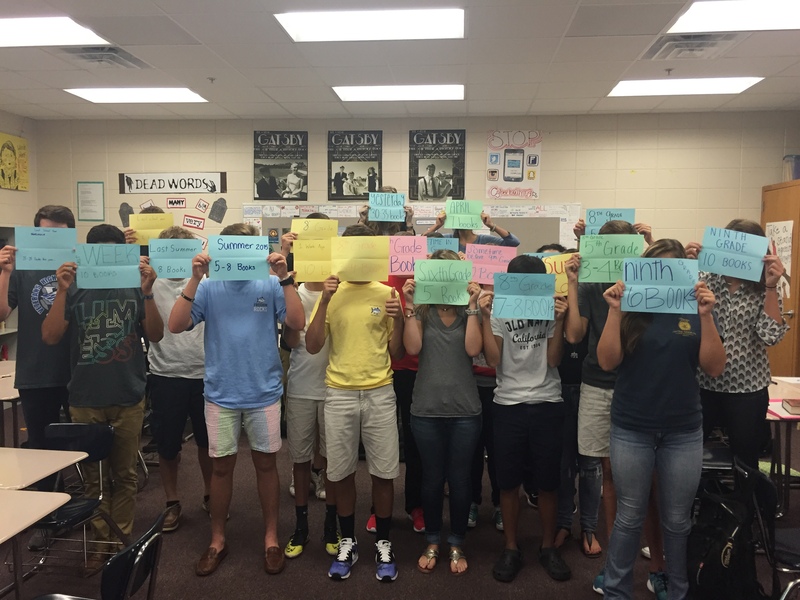 What students learned yesterday was more than just about public speaking. They learned a little life. And I’m so thankful for all those who had a part in that. Students had already been working on their social issue assignments. They had completed research, conducted an interview, and wrote a proposal. For more on that, read this. Students wrote and practiced speeches after studying speeches through mentor texts, specifically focusing on audience, purpose, and delivery. Our literacy coach helped me conference with students about their speeches, an invaluable piece. I sent out invitations for our presentations and made a schedule, trying to have groups with a variety of topics. Students volunteered to be a part of a hospitality team. They set up a hospitality room for the guests, greeted the guests, and directed as needed. They also made thank you cards. Our principal’s administrative assistant helped me gather things we needed and went over what we might need that I was forgetting. Our media specialist and media clerk let us take over the media center and sat in on speeches as well. Students made name tags and worked through logistics the day before. The day of the speeches, students had the schedules and assigned spots. They gave their speeches and then received feedback from students and guests. I had them write feedback too, which I will compile and give them to keep. Clean up and then go to sleep. Wake up the next day and reflect on what happened. Or maybe that is just me. It was a lot of work but incredibly worth it! Bonus Read: We all do reflecting at the end of the semester. I found this Three Teachers Talk post Writing my wrongs: How I’m learning from my mistakes to be beautifully honest and encouraging for us all, as we get ready to end one semester and begin another one. All I can promise my students is that I will continue to reflect, move forward, and become the teacher they deserve. But alas, growth takes time, trial, and error. It requires me to unravel years of traditional education, analyze what works, what doesn’t, what I should carry with me, and what I can discard. It will take time for me to unwind my own brain just as I ask my students to unwind theirs. I am still learning to be a writer, a reader, a student, a teacher, and that takes time, time that sometimes feels all too precious when I only have one year with my kids. Fortunately, teaching is like writing. Every day, I begin the process of drafting a new story, and every year, I get the chance to revise my work. I survived writing boot camp! This week all my students are participating in writing boot camp during class. What makes writing boot camp different than just a week of writing instruction? It’s very focused. It’s intense. It’s about the mindset. Doing a little internet research, I found several keys to running a successful fitness boot camp. I think these apply to an academic writing boot camp as well. Research: Spend time finding out what skills students need additional focus and which ones they already know how to do. Start with good management: Figure out how to divide the skills across the week, how much time to spend on the skills, and what resources are needed. Craft the boot camp so it offers something new or different: This week has to feel different from the other weeks in class; it has to be special. It may be that students are allowed to bring in snacks/drinks or spread out on the floor. It may be that all instruction is focused on this type of writing. It may be that music will be playing while they write. Focus on quality class structure: Students have to buy in to the boot camp. The first day is the most important. They have to feel like they really accomplish something and are encouraged to do the hard work in the days to come. Invest in marketing: Build it up in the weeks prior to the boot camp. They should know a challenge is coming but feel excited to meet the challenge. Invest in resources: Make sure there are mentor texts, access to writing materials, and other handouts for quick teaching of a skill. Start small: Students have to feel that they have accomplished something (as do you! ), so start with something small on the first day that they can use to build on the rest of the week. Time class properly: Boot camp has to be structured. Time every part of it so that the pace is consistent. Use phrases like, “You have 10 minutes! Ready! Set! Go!” It should feel like a mental workout! Create a feeling of camaraderie: This is a group experience. The teacher should be walking around reading, encouraging, guiding, gently correctly. The class should celebrate each others work and improvements. Structure class like group personal training: Make class adjustments for each class period: change length of times, resources, or focus skills as necessary. Give as much personal and small group attention as possible. Reflect not only on each day but each period. Reward: Make a big deal about completing boot camp and the accomplishments/growth made during the week. This is a general overview of our writing boot camp. We have 50-minute class periods (except Wednesday which is 45 minutes). Read three short stories (of your choice, must be approved) and write journal entries on each. Choose one short story and complete close reading lens analysis with six lenses. Establish a theme statement for the short story. Write a 100-words on author bio, context, and summary of short story. *The minutes indicate quiet student work time and do not include the instruction time in between. 6. Brag about something your partner did. 1. Look at mentor text for writer’s craft moves for literary analysis. Chart. 2. Discuss possible structure of body paragraphs (write about each lens separately or blending lenses). 4. Share out best sentence. 1. Discuss strategies for conclusions. 5. Make a goal list for final boot camp day. 1. Discuss revision and proofreading strategies. 4. Reflect on boot camp and name the one thing you are most proud of from this week. Overall, students appreciated the experience, even if they didn’t all love it. Some really struggled with the timed parts. Next time, I will be clearer of how they can use their time and that they can finish later what they don’t finish in that timed session. However, I will not change using timed writing sessions. Our students have to practice timed writing and many of students will take AP the following year. It’s good practice for them, and I believe it kept my students more focused and productive. Another concern several students raised was that they felt unsure about what they were supposed to be writing. I think this came from not being given a formula to follow. I will not give a formula, but I may do more small group sessions during some of the time writing stages or offer small groups before or after school for more direction, in the future. I loved that it pushed me to do more in my writing than I ever thought I could. I liked the examples and text given to us in order to aid in our writing. I liked how it pushed me to think faster and write more thoroughly. I’m learning to fix mistakes that I habitually make in my writing. I liked having the option of asking any question right when I had the problem in my writing. I am most proud that I have been about to identify errors in my own paper and identify good things in my own paper. I liked that we had the opportunity to revise our papers as we were writing them. I have learned to weave lenses into my writing the correct and efficient way. The fact that I was able to write for a long time made me happy. I liked the freedom of choice. Writing boot camp has helped me know how to analyze a piece of text. Writing boot camp helped me realize that I could do a lot better. Writing boot camp has helped me understand my strengths and weaknesses in writing. It has also helped me learn to pull information from text. I think writing boot camp was great! At first, I thought it would be just terrible, but it turned out to be really fun and challenging in a good way. I love that we had a chance to really analyze a story. Bonus Read: I really liked Katy’s post (Not) Going Fishing on the Turn and Talk Blog. One, I am just a Katy fan, and I really liked her voice in this blog. But most importantly, this post challenged me to think about how and when and why I question in the class. One thing I learned through this writing boot camp process was how much time I actually do have in the classroom. Now that we are finished with boot camp, I want to make sure I keep maximizing my time. Becoming effective with questioning is a way to do that. Effective questioning is purposeful. Thanks Katy for the fun metaphorical reminder! I was introduced to the concept of the meeting space through Teacher’s College work with my district’s elementary and middle schools a few years ago. While I was inspired and challenged by everything from Teacher’s College, I thought the meeting space was a neat idea, but a little too young for my high school students. A colleague reminded me of the research about movement and learning and challenged me to try it. So, a bit skeptical, I did. And it was pretty close to magic. It has evolved over the past two years into what I now call “meeting in the middle” with my students. 1. It gets students moving. High school students sit a lot. By asking them to move to the floor, they are activating their learning. Also, they are moving away from the distractions of whatever may be on their desk. 2. It builds a community of learners. My desks are arranged in groups—small community of learners. When I ask students to meet me in the middle, the closeness of the class reminds us that the entire class is a community of learners. 3. It encourages a safe environment. In the meeting space, we listen and we talk briefly, only to practice what we are learning or to share out an example. It isn’t a place where students get called out or put on the spot. It’s safe there with us sitting together; it feels more non-threatening than sitting in the desks with the teacher standing above them. 4. It is a meaningful ritual and routine. Meeting in the middle is when we are learning a skill or listening to a read-aloud or something that is teacher-centered. Most of my class is student-centered, so this ritual of moving to the middle helps students understand the shift in behavior and listening they need to make for this type of instruction. The routine is knowing how to do it quickly and effectively. 5. It keeps my mini-lessons mini. Students are only going to sit on the floor for so long. I have to be purposeful and intentional with my time during meetings in the middle. 6. It’s fun. The students love this throw back to elementary school, and I do too! It brings something different to norm of the day. I explained to students that research has shown that they spend most of their school day sitting in classes listening to someone talk to them, typically a teacher. They all seemed to agree on this point. I shared with them that one instructional coach found that this happened about 90% of their school day. Because we had so much to learn in this class, we were going to use movement to help us activate our learning and refocus their brains so they could pay close attention to what we were doing. Then, I called them to meet me in the middle. I don’t doubt that some students internally groaned, but most were excited saying things like “I haven’t done this since elementary school” and “I hope she reads to us” — which I did. I shared the children’s book Courage, then we turn and talked about how we wanted to be courageous this year. I asked for a few share-outs, gave them instructions for their work session, and sent them back to their desks to work. I plan to use the meeting space for conferences as well. The open area makes it a great space to gather students for individual or small group reading and writing conference while I still can maintain a presence in the room during work sessions. I bought $5 small tables that I’m going to use as stools from Family Dollar (thanks to an elementary school teacher friend who posted this great find on Facebook). The stools/tables are stackable, so they easily fit under a table when they are not in use. If you would like to read more on conferencing, To Confer is to Validate the Child offers a thoughtful discussion on its importance in the classroom. Bonus Read: I was really challenged by Used Books in Class’s The “So What” Conundrum post. I will be using the So What? question more for reflection as a teacher and in learning with my students. Although this activity is not perfect, it was so much better than previous boring first days. The questions and comments students asked gave me insight into their personalities, their hopes and their fears. It amazed me that not one single class asked about grades. Instead they wanted to know about what we were going to read, if I was strict, and how we were going to improve their writing. I have to admit this activity made me realize what I thought students would think is the most important about a class was not. It also allowed for natural conversation about class instead of a formulaic spill about the syllabus. I will continue to do something of this nature in my classes in the future. As mentioned, I chose to read the book Courage for the first day. It’s a simple yet powerful read that gave us the platform to talk about the courage we will need to examine ourselves through reading and writing and to share with others in our community of learners. When students shared out what courageous act they wanted to accomplish this year, several over the course of the day said they wanted to show courage by sharing in front of their peers. I had to smile, as I knew they had just taken the first steps to do that by sharing right then sitting on the floor in our meeting space. I loved seeing students get excited and immediately wanting the book As Simple As Snow after the book talk. For an important discussion on how we develop and protect students’ reading identities, see Stop Feeding the Beast–The Reading Myths We Pass on as Truths. 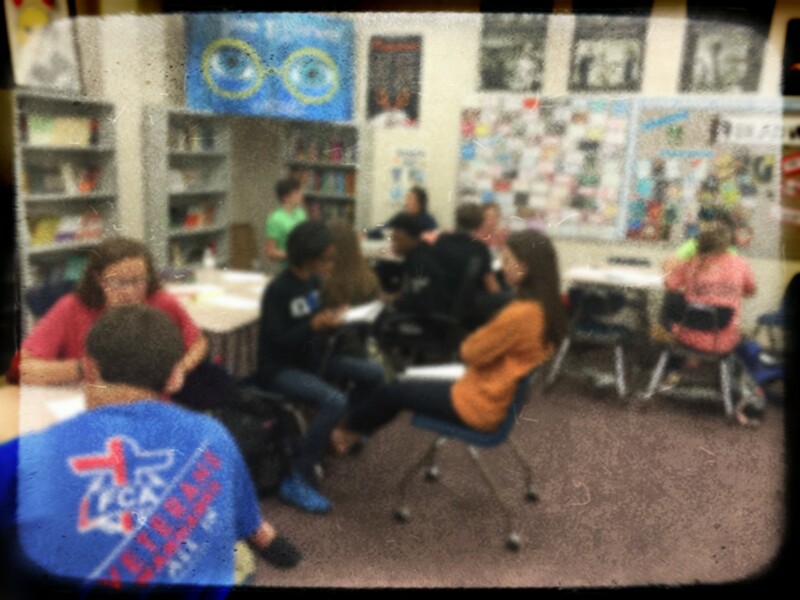 Speed dating with a book was a great success. 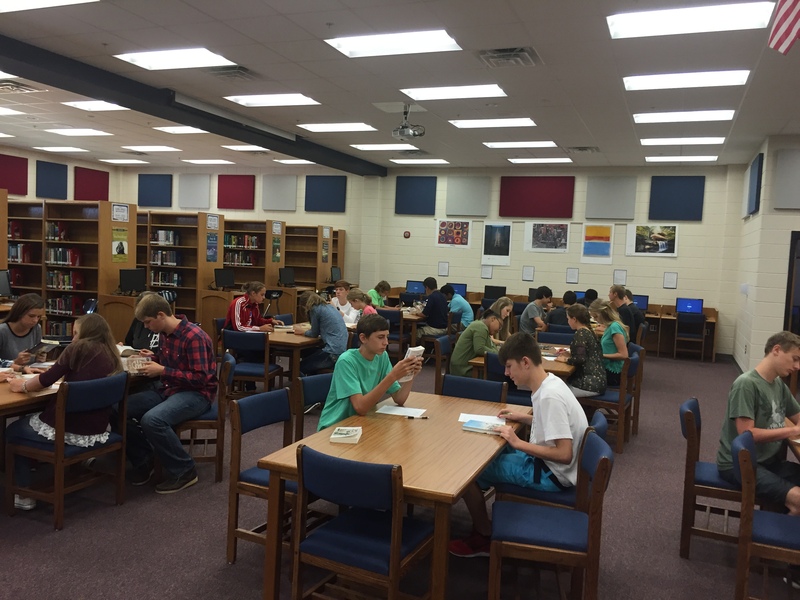 Students had about 70 titles to browse from various genres, topics, lengths, and levels. Everyone found multiple titles to add to their “Books I Want to Read” list. Now every student has a book in hand, and they had the opportunity to begin reading in class. We are working on getting them signed u p for Goodreads. 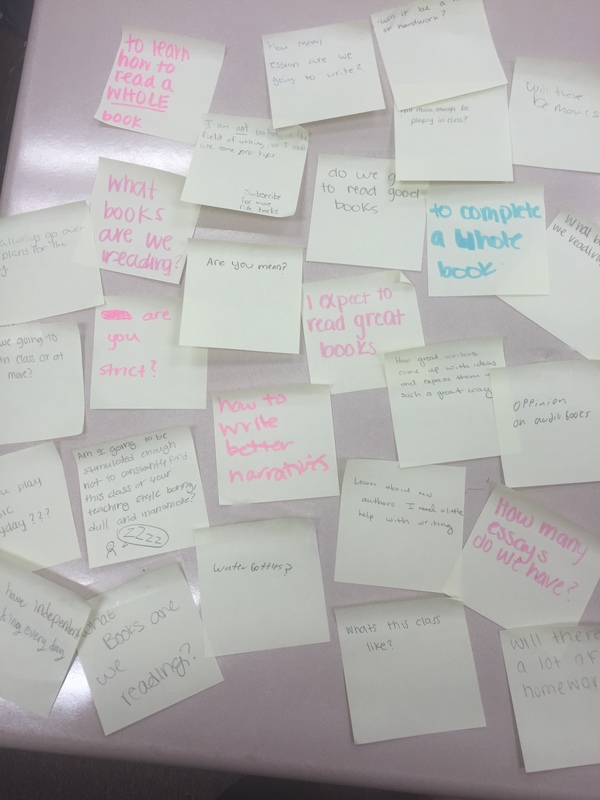 I also had students write down the last time they read a complete book and their goal for the number of books they wanted to read this year. I’m not really worried about what that number looks like, but I did want them to begin thinking about how they were going to challenge themselves as readers this year. We documented it by taking a picture. I plan to take another picture at the end of the year with their goal on top and number of books read this year on bottom.